Daily Camp updates on “WhatsApp”by Team Explorers . Pune to Pune Caring Team of Explorers. Variety of Camp activities with 100% Safety. 17 Years of Experience in the Industry with Dynamic, Experienced & Certified Team of Explorers. Personal Attention: Group of 8 Participants = 1 Leader. Separate & safe accommodation for Boys & Girls. Achievement Certificate & Medal to each Participant. Pure Vegetarian, Hygienic Food & Mineral Water throughout the Camping Period. Member of ATOAI (Adventure Tour Operators association of India) & ETAA (Enterprising Travel Agents Association). Well equipped First Aid Kit. Glorious view of Trishul & Nanda Ghunti Height gaining upto 16500 ft.
Last date of Enrollment: Till Seats Left. Book Now to avoid Disappointment. Departure Date & Time: Day 1 by 02.30 pm from New Delhi Railway Station. Arrival Date & Time: Day 9 around 06.00 am at New Delhi Railway Station. 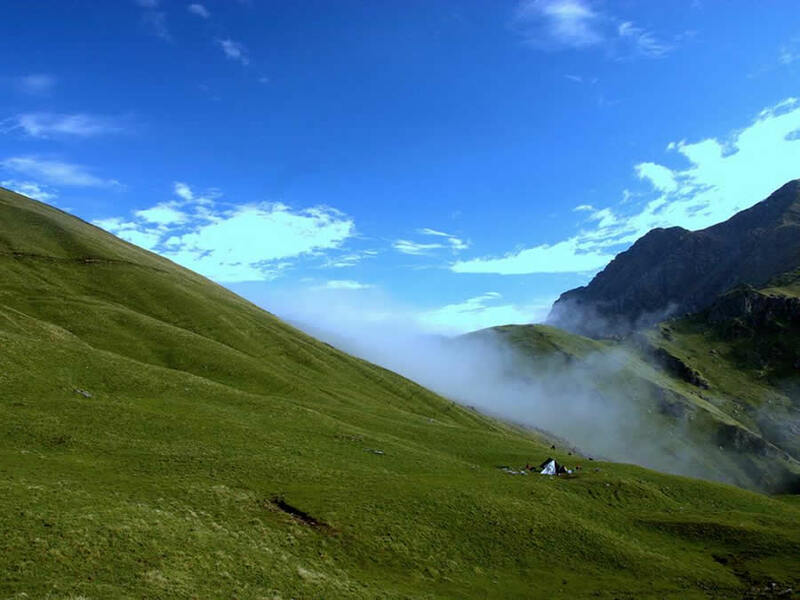 Type of Accommodation: Standard Hotels at Haridwar & Joshimath Non AC Rooms & in Tents on Trek route on Multiple Sharing. Route: Pune – Mumbai – Delhi – Haridwar – Joshimath & same way return to Pune. After Attendence Depart for Haridwar by 12055 DDN JANSHTBDI (CC) at 3.20 pm. Reach Haridwar around 7.30 pm. After Early Breakfast move for Wan around 6 am by Bus. Lunch on the way. Reach Wan around 4 pm. Tent allotment, after Tent allotment Briefing about Next day Schedule. Dinner at Wan. After Breakfast Trek towards Bedni Bhugyal with Packed Lunch. The first couple of days on the trek will take you through quaint villages, cheerful streams, and rapid mountain rivers. You will soon leave the trees behind. Now you will be greeted by miles and miles of lush meadows, called ‘Bugyals’ in the local tongue. The Bugyals are dotted with small and big lakes at intervals. The pure air, the poignant greens and the effervescent blues will make you forget all your troubles. Campfire, Group Games. Dinner at Bedni. We will start early in Morning from Bedni with Packed Lunch. A little Steep & tough trek towards Bhaguwabasa. Your Patience & Stamina will be checked on the route. Reach Bhaguwabasa around 04.00 pm. 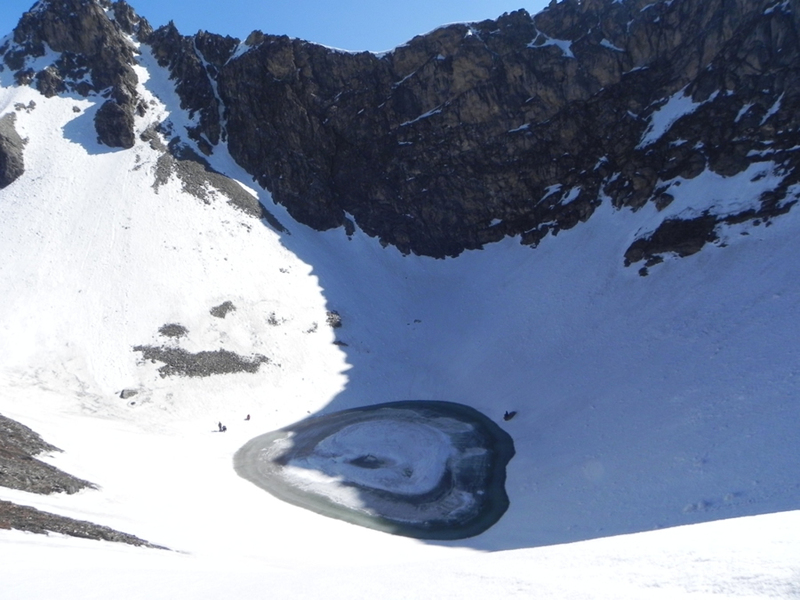 After Breakfast move for Roopkund-Mystery Lake with pack lunch. You have to start the day as early as. The sooner you start, the better it is for you as the snow is still hard, while later in the day, it would get soft and your feet would start sinking in. 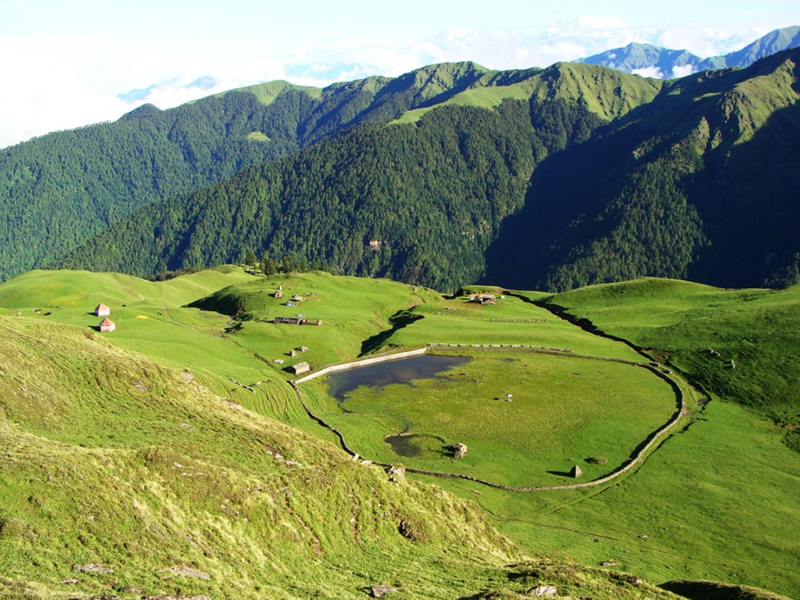 Roopkund is a 4 km gradually up-hill climb from Bhagwabasa. 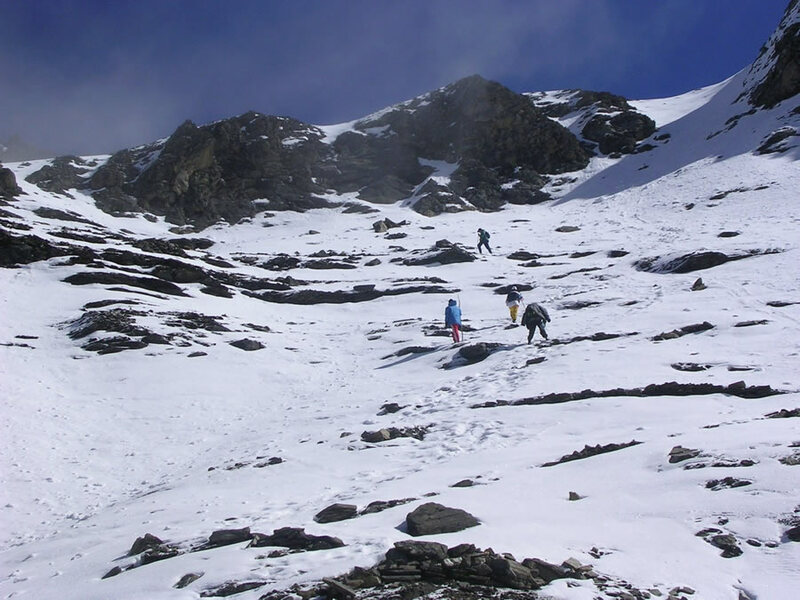 You will have steep climb towards the end of the trail to reach Roopkund-Mystery Lake. 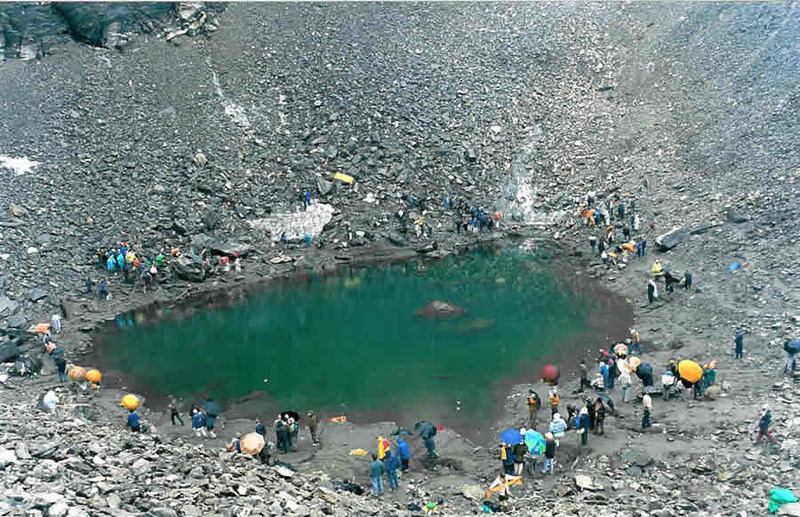 It would take about 3 hours to reach Roopkund. Your stamina will be tested as the air gets thinner and thinner. 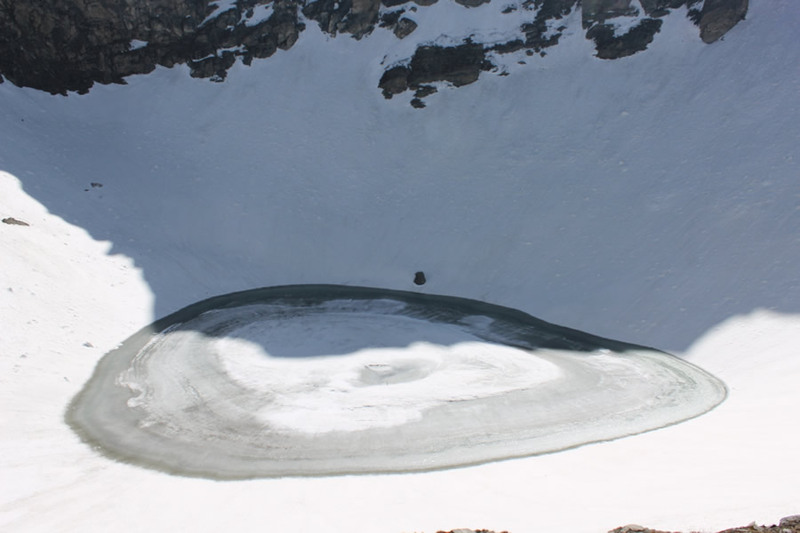 At the end of the climb lies the coveted Roopkund, frozen, serene, and pristine. Near the lake you can still find lots of skeletons, which have been well preserved because of the cold after all these centuries. 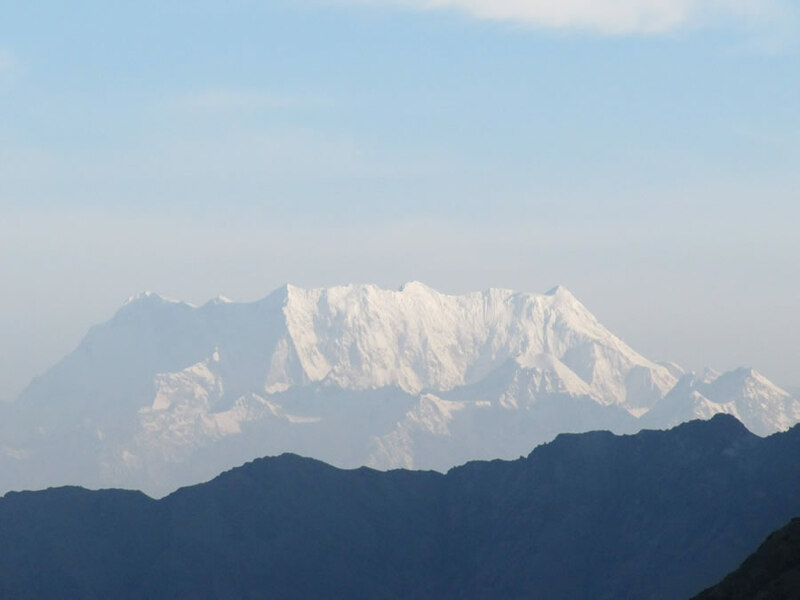 From here, you can spot a lot of other peaks – Trishul, Nandaghungti and Choukhamba. After Breakfast move for Badeni Bugyal with pack lunch. Dinner at Campsite. After Breakfast move for Wan Village with pack lunch. On a clear day, you would be astonished by looking at the Trishul on your way back from Bedni Bugyal to Wan. You would go down the Rhododendron forest. Dinner at Wan. After Early Breakfast Move from Wan to Haridwar. After Dinner immediately Proceed to Delhi by 12206 Nanda devi Express by 12.50 am. Reach New Delhi Station by 5.20 am. Early Bird Discount: 122 Days before the date of Departure- Rs.1000 per Head. You can either enjoy Group Discount + Full Payment Discount OR Early Bird Discount + Full Payment Discount. Delhi – Haridwar by Chair Car & Haridwar – Delhi by 3 AC. Haridwar – Wan – Haridwar Travel by Local Transport. All food charges Ex. Wan (Breakfast, Lunch & Dinner Base Camp to Base Camp, Wan Village). Accommodation in Non AC Standard Room at Haridwar & Stay in Tents on multiple sharing basis. Separate accommodation for boys and girls. Tooth Brush, Tooth Paste, Tissue paper, Paper Soap, Towel, Napkin. Shawl, Balaklava (Kantopi), Woolen Gloves. Water bottle – Min. 2 Ltr., Torch with extra Cells, Id Proof, Nail cutter, Safety pin. *This is just a reminder list of what to Bring. You can bring other things as per the Need. We will provide the following items to the Participants. 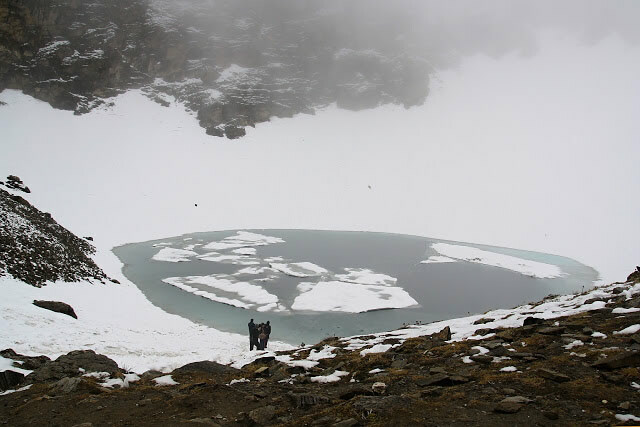 Familiarize yourself to new shoes before bringing them to the Roopkund-Mystery Lake Trek. Shoes must be large enough so that you can wriggle your toes with socks on. 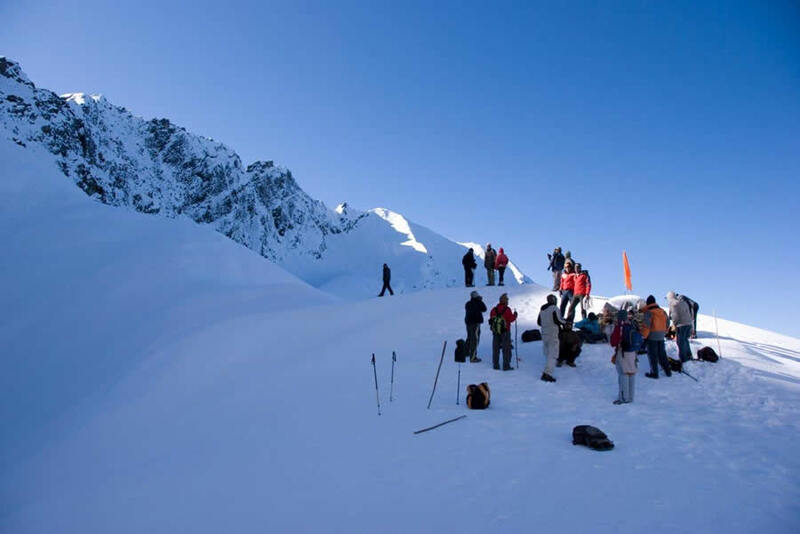 For Himalayan treks be sure to bring along your pullovers, jerkins / wind cheaters, monkey caps, gloves etc. As protection against sudden downpour, do pack your clothes / equipment in separate plastic bags before putting them in the haversack. Try to avoid Headphones or gossip with friends. You may miss many wonderful animals and birds in the bargain.